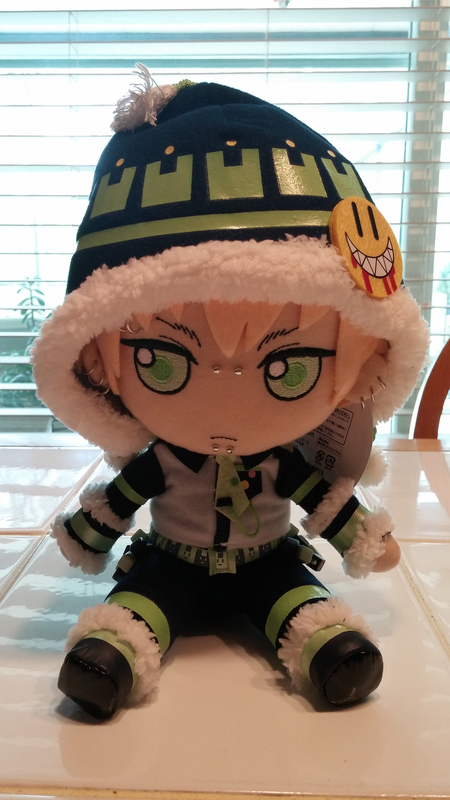 Nitro+CHiRAL Plush Series (#21): Noiz from DRAMAtical Murder! Hello, fellow collectors! Yesterday, I got this adorable little gem of a plush in the mail! It’s the Gift Noiz plush, from DRAMAtical Murder, which is probably the most popular BL (Boy’s Love) game ever released. The game takes place in the fictional island of Midorijima, which is under financial hold by Toue Corporation. Toue Corporation has been turning the island to the seemingly luxurious invite-only resort called Platinum Jail, while the island’s original residents were left behind in the slums, where the young entertain themselves by joining gangs and playing the popular cyber game named Rhyme. DRAMAtical Murder gains its popularity from its unique characters and setting, not to mention the endings that players are able to attain. 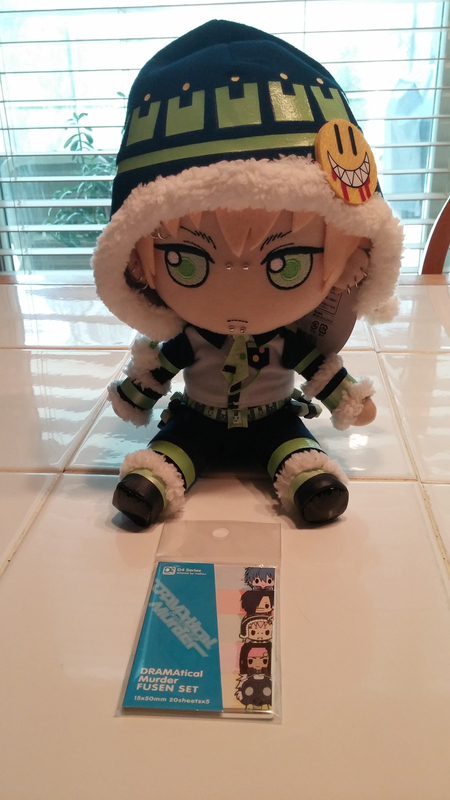 Anyway, without further ado, let’s talk about this cute Noiz plush! Gift always manages to make the cutest plushies possible. They manage to put in as much detail as possible to make the plushies unmistakably just like the character, and Noiz is no exception! 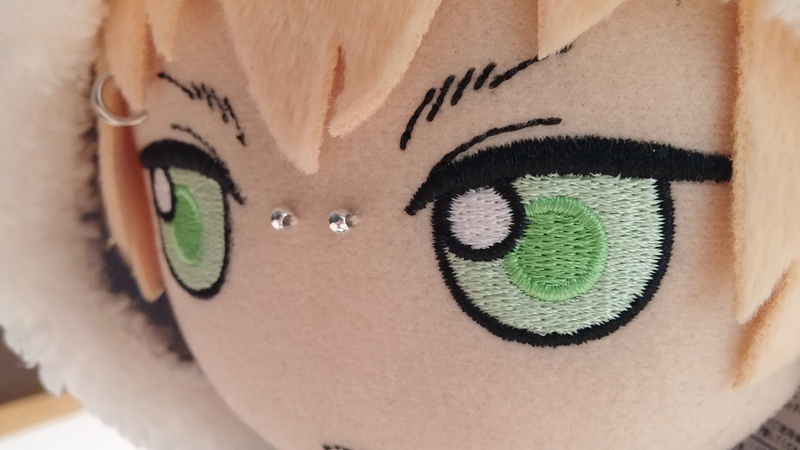 What’s impressive about how Gift made Noiz, is how they detailed his piercings. All of them are present as little metallic beads and silver-like hoops. 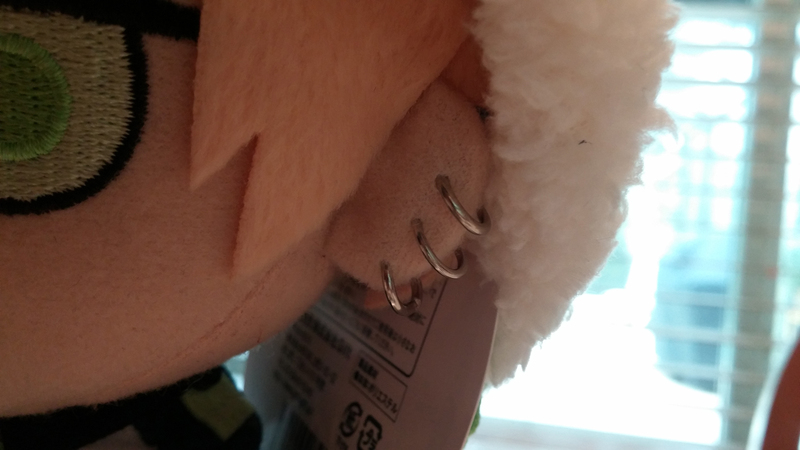 Rather than doing the “safe” thing and just note them as stitching on the plush, they actually went the extra mile and made the plush have actual piercings. The way the eyes and eyebrows are stitched is cleanly done; it’s nice to look at and to the touch. 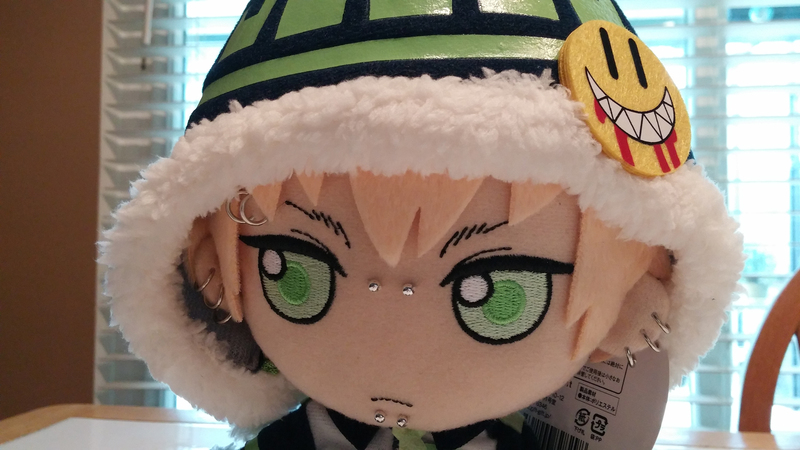 Noiz’s beanie has his allmate’s (Usagimodoki) shape printed all around, with the inclusion of that big yellow toothy face badge on it. I really love how fluffy the bream of the beanie is! 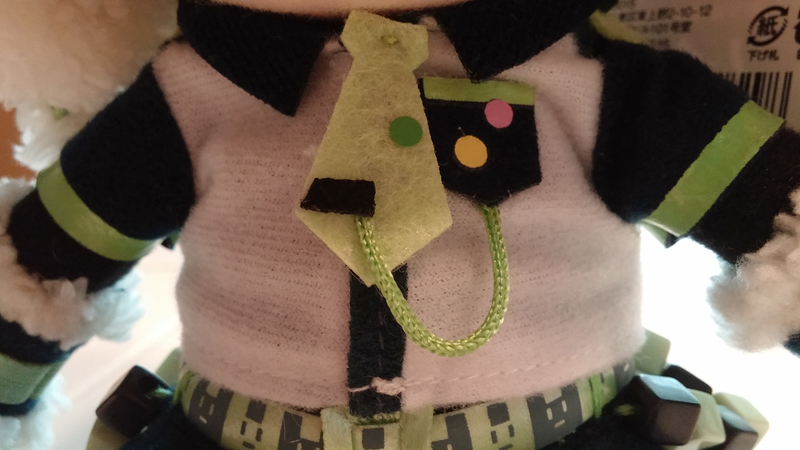 Even though the plush isn’t big, Gift made sure to note the detail of the pins and brooches by affixing little colorful decals on Noiz’s pocket and tie. 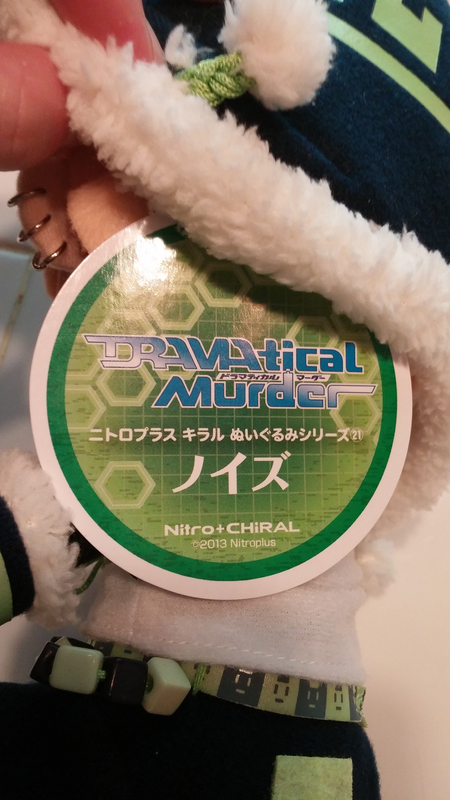 The way they presented the cord from the brooch to the badge by making it a small string is a pretty nice attention to how the character is designed. 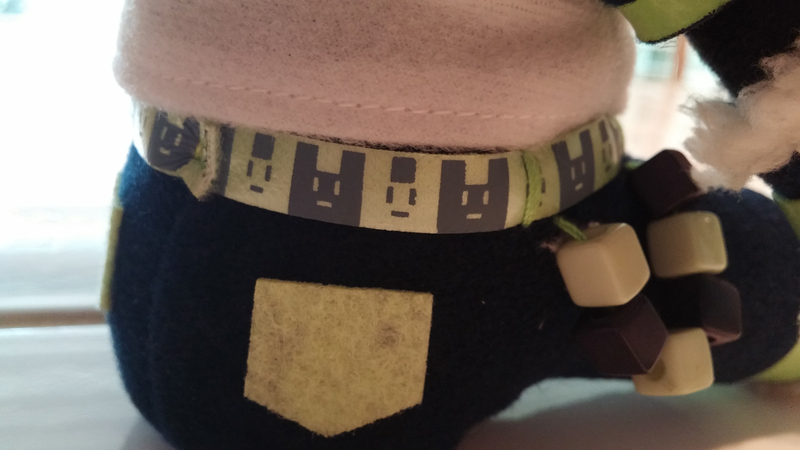 Noiz’s allmate is simply depicted as square green and black beads. While some people may protest that Gift wasn’t able to fully sculpt Usagimodoki, I really dig the simplicity of it, as it does work for this cute representation of Noiz. His belt has his allmate’s design all around it. I really admire how the clothing is stitched and how they fit the plush perfectly. 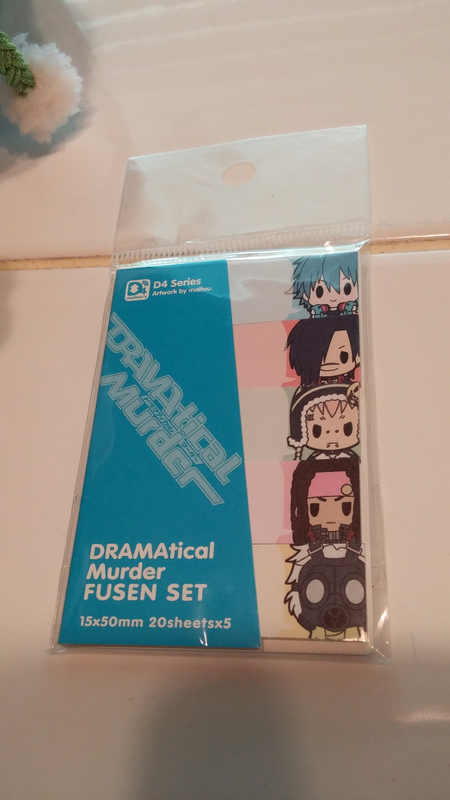 The seller I bought this plush from included this fusen (sticky note) set, which was probably an extra item that Gift included with any of their DRAMAtical Murder webshop orders. I wasn’t expecting to get this, so I’m pretty delighted about this! I…don’t think I’ll use them…for now! 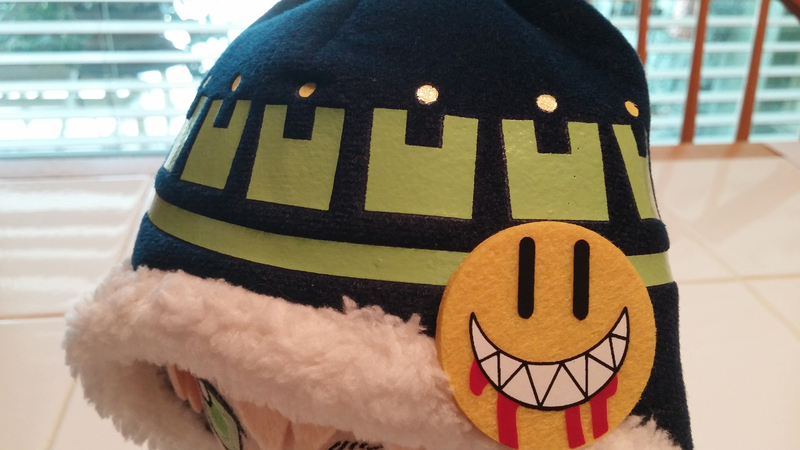 Overall, this plush is an excellent representation of Noiz. Gift does an amazing job with all the detailing on the plush even though it’s not that big of a plush. I feel that with each plush Gift releases, they seem to improve on making them, which is why they’re pretty popular! Noiz is currently unavailable on Gift’s webshop, but you can try and hunt him down either on Yahoo JP Auctions, eBay, or Mandarake. It’s unknown whether Gift will, once again, put him up online for order again on their webshop. 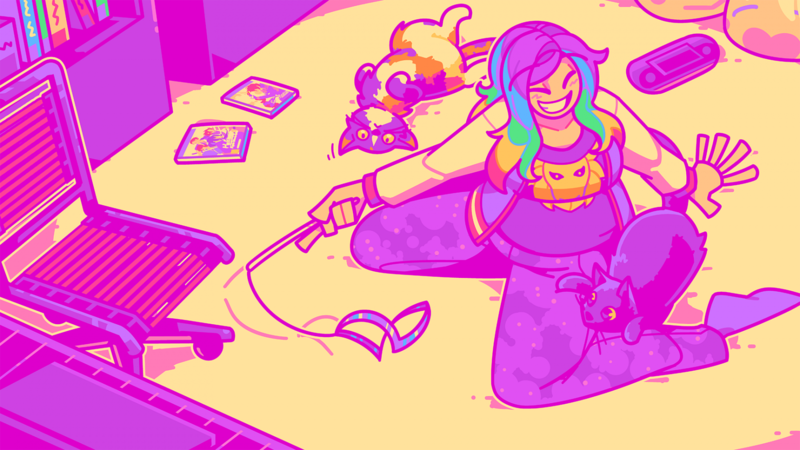 ← Unusual Poké Dolls Sighting!